To Empower Wealth in your life, energy is required. Money is the symbol of prosperous energy that attracts what you value. Philanthropy is money energy moved by gratitude. Do you think your life would be better with more money? Is there really enough for everyone to enjoy abundance? Do you have a desire to help others? "A few years ago, I decided it was a good time for Chris and I to experience a Feng Shui Secret to Empower Wealth. Although I had shared it with many clients, I had not performed it myself. After purchasing a bank and other items needed, we began the 27 day ritual. It was great fun until I became ill and forgot to do it on day 20. That meant we had to start over. Disappointment was our first reaction. I considered that I simply cared more about my health than money. Yet, something else nagged at me. I knew from my teachers that this ritual will often bring awareness to obstacles that block a healthy flow of prosperous energy. As I looked closer, I could see a pattern in my thinking about money. I often used it as a measure of my personal worth. I realized that I had put so much pressure on myself to succeed at this 27 day ritual that my fear of failure showed up in my body. It became clear that I needed to focus on my self esteem and do work in my Fame Life Situation." Money is a very potent symbol for what you value. If you don't value yourself first, it becomes difficult to value anything or anyone else. Identify the location of your Wealth Life Situation in your living space. It will be found in the left, back area as you stand looking in your front door. What you see here can speak to your subconscious issues regarding money. Is there a missing section in your Wealth area? Could this reflect a cash flow problem in your life? A toilet in Wealth speaks to money being flushed away. A closet may say you have secret money, savings or even money you aren't aware of yet. Attract prosperous energy in a missing area with a solar water fountain. Place it at the point created by drawing an invisible line from the back and side wall. Your visualization is that you are constructing the missing piece. It is no longer missing. 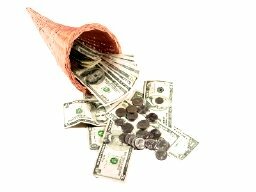 If you have a few acres with a missing Wealth area, a wind generator can serve as a powerful way to Empower Wealth in Your Life. You also will produce your own electricity and save money on your utility bill. "Wealth in my current house is in the garage. This is not a bad placement unless it gets cluttered with too much stuff like ours did. Whenever I entered the garage I could hear the message clearly. LET GO OF THINGS! I placed an object containing a Wealth color in the Wealth corner of our garage with the intention to let go of everything we no longer use. We are now in the process of clearing clutter with recycling, donations to thrift stores and selling items to Empower our Wealth. The money is flowing again." 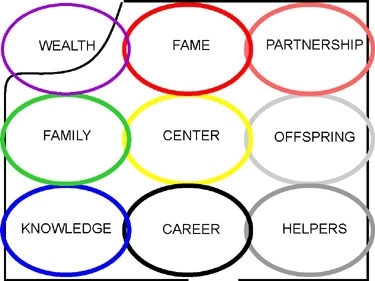 Another way to Empower Wealth in Your Life is to become a helper or benefactor. It is true. When you feel abundant enough to share your money or time to benefit another, you attract prosperous energy into your life. Do you believe there is enough money in the world to make each person rich? A powerful Feng Shui Secret Tip is that everything is energy. That includes money. When your physical energy feels low and you go for a brisk walk it helps you feel more energized. In the same way, you increase the flow of money energy in your life through philanthropy moved by gratitude. And it feels good too! An example of this in Feng Shui is the Red Envelope Tradition. When I perform a consultation and give personalized Secret Tips to a client I ask for a certain number of red envelopes containing money in addition to my fee. The client chooses how much money to put in each envelope. This tradition is protective and adds power to the consultation and I get to pass all the money in the envelopes on to charity. Certain rooms are sacred spaces to Empower Wealth in your life. For instance the kitchen holds the cooking stove. The stove is like an alter to good health and wealth. A Feng Shui Secret Tip is to place a mirror on the wall behind the stove top to reflect the burners. This will double your wealth and good health. This is especially powerful when you perform the Three Secret Reinforcement. family. It sends the message that you are worth living the life you dream"